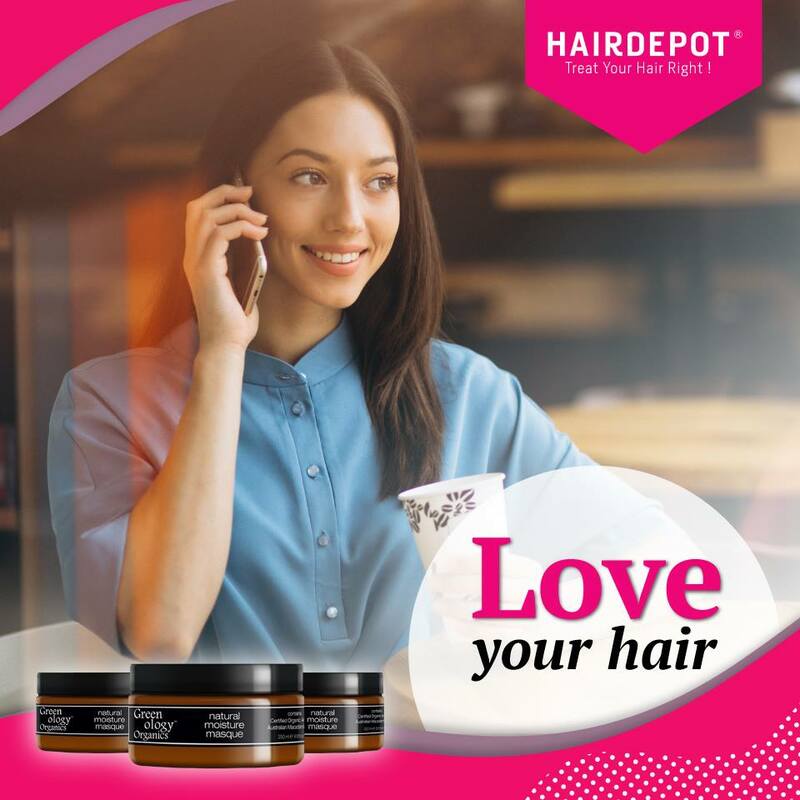 Love Your Hair – HAIRDEPOT - Hair & Scalp Care Products, Prevent Hair Loss, Shampoo, Conditioner, Treatment, Styling, Appliances and more! Experience the power of Argan and Macadamia Nut oil hair masque! Greenology Organics Moisture masque is a hair mask that does wonders for your hair. It penetrates deeply into the cuticle and reconstructs the structural integrity of your hair. Besides that this product can also lock in hair colour and reverse the damage done by external environmental factors. Find this awesome product now at a HAIRDEPOT outlet near you.